Book available in 12″ x 16″ x 2″ with a 2″ x 23″ x 9″ base and 4″ x 6″ x 6″ Vase. 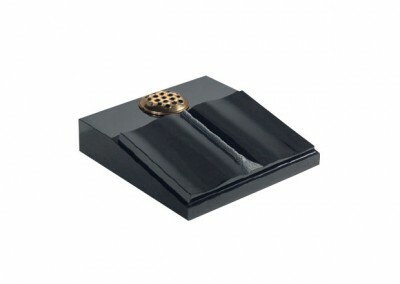 Black granite book featuring a side vase. Headstone available in 12″ x 21″ x 2″ with a 2″ x 23″ x 9″ base. 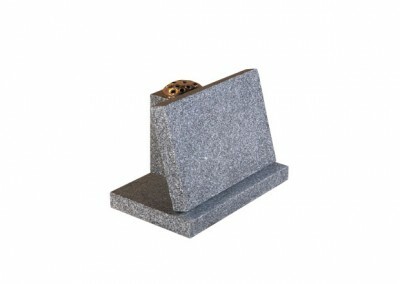 Dark grey granite ogee shaped headstone with flower container. Headstone available in 12″ x 16″ x 2″ with a 2″ x 23″ x 9″ base and 4”x 6”x 6” Vase. 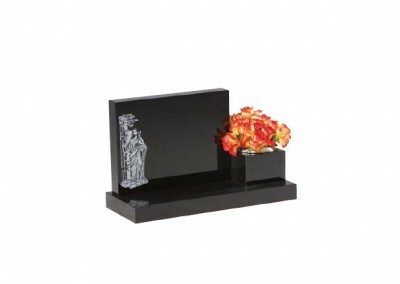 Black granite with ‘Peter of the gate’ design, or a design of your choice. Heart available in 12″ x 12″ x 2″ with a 2″ x 23″ x 9″ base and 4”x 6”x 6” Vase. 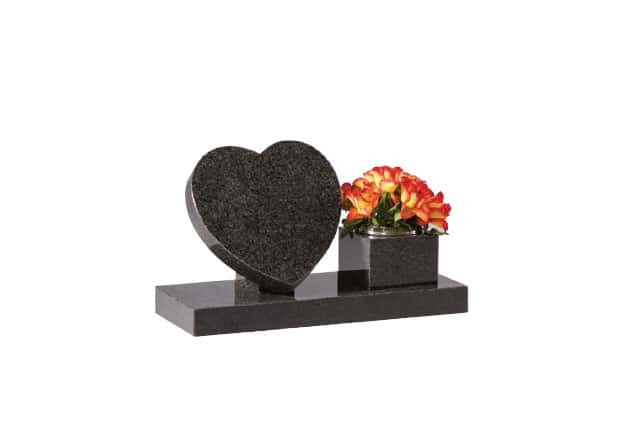 Dark Grey granite heart on riser with side vase. Headstone available in 12″ x 21″ x 2″ with a 2″ x 23″ x 9″ base. 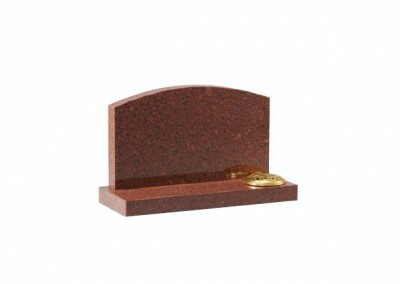 Ruby Red granite with arc top and flower container. 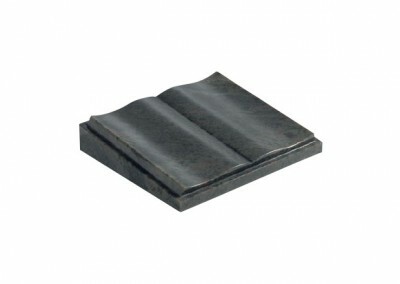 Tablet available in 18″ x 12″ x 2″. Black granite with corner rose design. Tablet available in 18″ x 12″ x 2″. 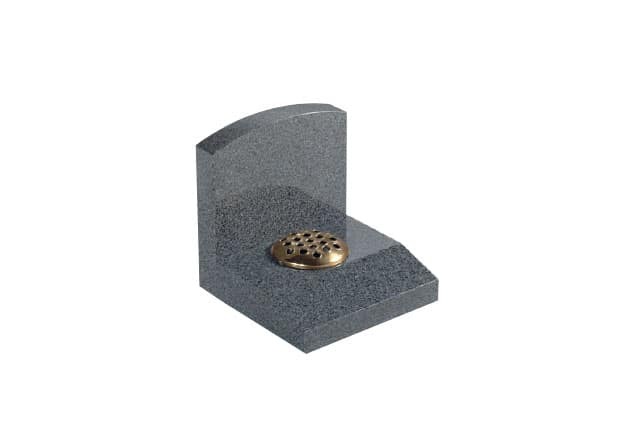 Dark Grey granite with gilded scalloped pin line. Tablet available in 18″ x 15″ x 2″. Cornish Grey granite with delicate book and flower design. 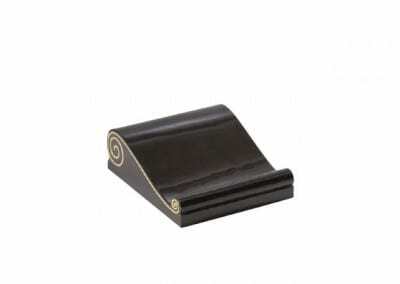 Tablet available in 12″ x 18″ x 2″ with Vase Rest 10″ x 9/6″ x 6″ and Base 2″ x 20″ x 14″. Light Grey granite with flower vase rest. 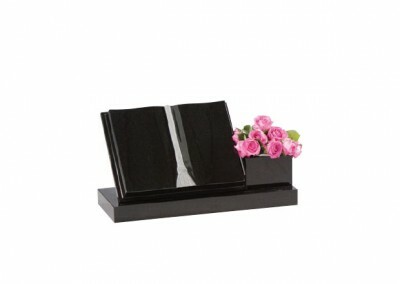 Headstone available in 12″ x 12″ x 2″ with 10″ x 12″ x 3/1.5″ Base. Dark Grey granite with headstone that sits behind desk. Desk available in 18″ x 15″ x 4/2″ with 8″ x 14″ x 6″ Vase. 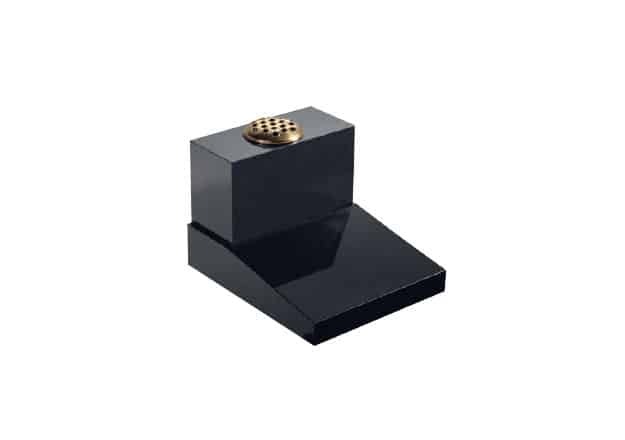 Black granite vase sitting on the flat section of the desk. Desk available in 18″ x 15″ x 4/2″. 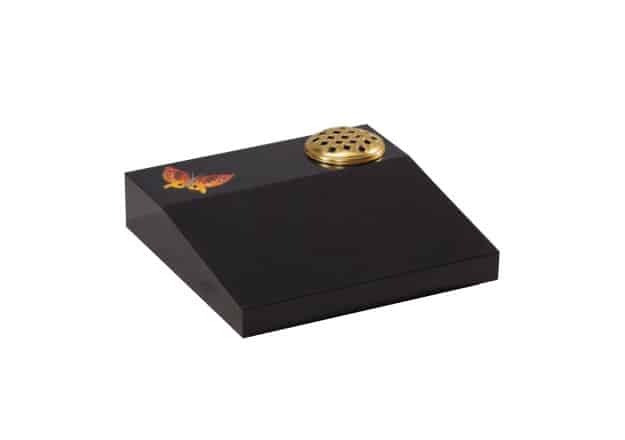 Black granite with hand carved scroll with gilded embellishments. Desk available in 18″ x 18″ x 4/2″. Black granite desk with moulded edge. Desk available in 18″ x 18″ x 4/2″. Black granite desk with rose ornament. Desk available in 18″ x 18″ x 4/2″. 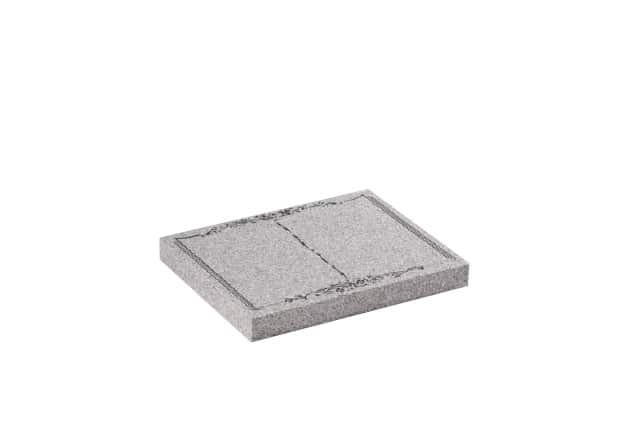 Light Grey granite desk with etched and highlighted book design. Desk available in 18″ x 18″ x 5/3″. Black granite desk with shaped pages and carved cord and tassel. Tablet available in 15″ x 18″ x 4/2″. 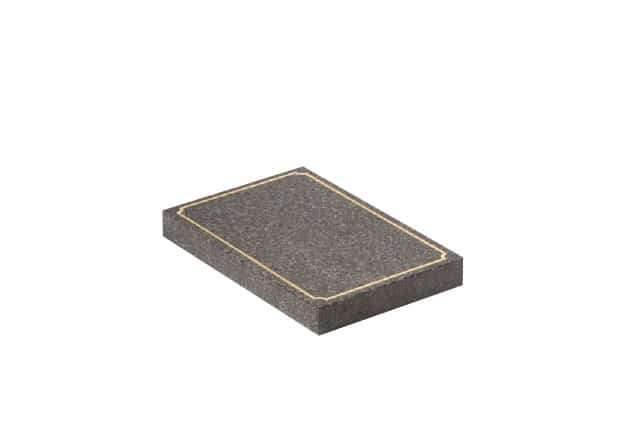 Black granite desk with shaped pages. Desk available in 18″ x 18″ x 4/2″. Black granite desk with hand painted butterfly design.